At last...the second DVD from the Christmas filming in David's barn, Christmas with David Phelps. Featuring the unparalleled tenor voice of the David Phelps, this world-class Christmas event celebrates the majesty of the Saviour's birth and the joy of the season. Including something for everyone in the family, this DVD collection offers a dazzling array of the Christmas standards, nostalgic seasonal favourites, and power-packed anthems sung only as David can sing them. It's a night to remember that is sure to become an annual family favourite. Will play on UK and European DVD players. Christmas With David Phelps DVD by David Phelps was published by Gaither in September 2010 and is our 13583rd best seller. The ISBN for Christmas With David Phelps DVD is 0617884604998. Be the first to review Christmas With David Phelps DVD! Got a question? No problem! 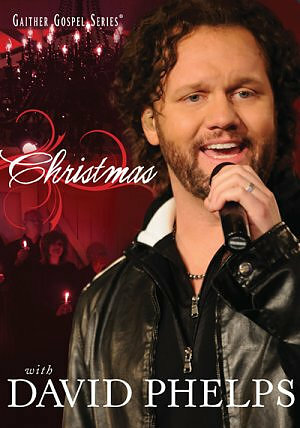 Just click here to ask us about Christmas With David Phelps DVD. What is the DVD region 'Christmas With David Phelps DVD'? A:The 'Christmas With David Phelps' DVD is produced in 'multi-region' format and will play on all standard UK machines.